Cycle Tour registration done, bikes unpacked, pedals changed, seat height altered. 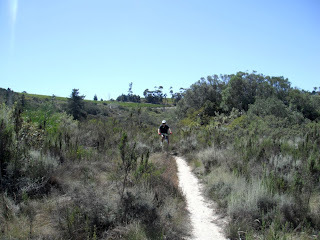 So we were off to the Bottelary Hills mountain bike trail to test the bikes. We took the green route from Protea Heights side. 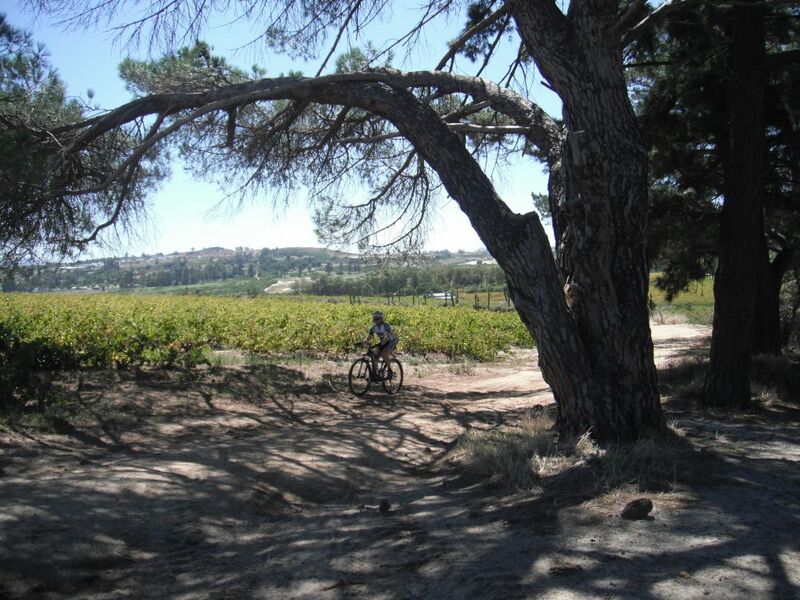 a few kilometers from the house, and you're cycling between vineyards. 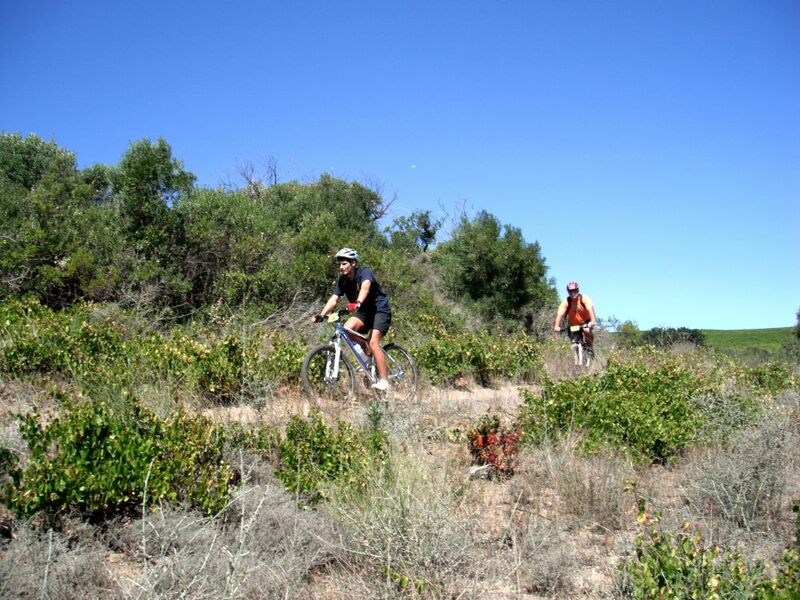 A long climb to get to between the fynbos, where we found a view of the sea and some hand-cut singletrack. More clim, then a twisty curvy downhill that reminded of sani2C.